Tinie Tempah hasn't been "overthinking" his third LP 'Youth'. The 'Pass Out' hitmaker is gearing up to release the follow-up to 2013's 'Demonstration' on September 16 but has revealed he took a much more chilled approach this time round and, as a result, he's been able to produce some of his favourite work. He said: "I'm getting back into not overthinking things. Last time I went all muso and locked myself away from the world. This time, people come through every other day. I'm in my element. There's a song called 'Bounce' which is my favourite. It's produced by SHIFT K3Y and it's just me flexing." Meanwhile, the 27-year-old rapper has admitted he was a "little p***ed off" when he found out 'Demonstration' only sold 100,000 copies after his debut 'Disc-Overy' went double platinum. He told Q magazine: "I was a little p***sed off, and the label weren't happy, but everyone's just trying to catch up with what's going on - streaming and social media ... But gold is f***ing heavy." 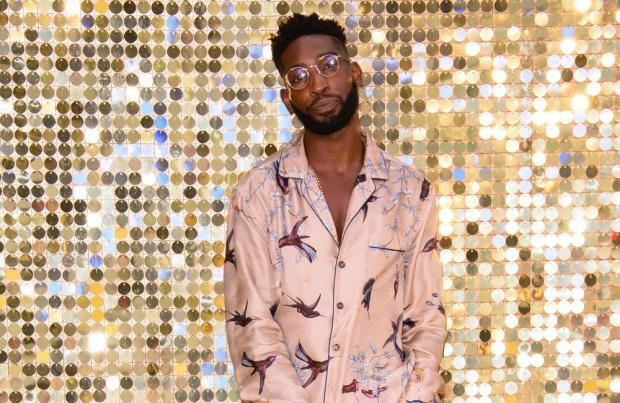 Tinie's forthcoming record features Jess Glynne on 'Not Letting Go', Katy B on 'Turn The Music Louder', 'Girls Like' featuring Zara Larsson and 'Mamacita' with Wizkid. He has spent the last year writing and recording the album and went for the DIY approach making it in his home studio. Talking about the different sounds inspired from the music he heard growing up in London, which feature on the record, he previously explained: "I wanted to give a nod to all of the genres of music I heard growing up that made me want to be a rapper. "The good thing about being from London is that you hear so many different styles of music, and are exposed to so many different things. I wanted to make an album that felt nostalgic with elements of those big British sounds from different genres, whether that was garage, grime, hip-hop or R&B."